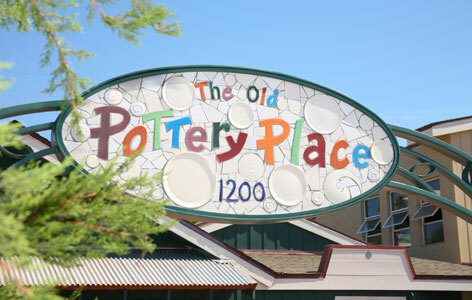 The location of The Old Pottery Place is among the most historically significant commercial sites in Laguna Beach. Initially the site of a small home, then the Yum-Yum Tea Room, in 1936 it was to become the home of The Pottery Shack and remain so for the next 66 years. With a trailer load of “seconds” from J.A. Bauer’s Glendale factory, The Pottery Shack flourished as a destination for residents and visitors alike combing through stacks of pottery and collectibles. The founding Childs’ family retired in 1972 and sold their business to Pier One Imports with its intention of using the brand and concept as the basis for national expansion. With these plans aborted, it passed back into private hands and in 2004 one of Laguna’s favorite shopping places closed its retail store. In 2006, after two years of caring renovation, 'The Shack' was lovingly reborn as The Old Pottery Place, providing a home for an array of distinctive shops, food purveyors, and offices once again welcoming visitors from around the globe. What in essence became “a cobbled together set of buildings leaning against one another” was renovated in compliance with The Secretary of Interior’s specifications for historical structures and under the auspices of the Laguna Beach Heritage Committee. Many of the structures, materials, and features of the original site can be seen both outside and inside the stores and office. Sapphire Laguna offers “global comfort food” by acclaimed chef/owner Azmin Ghahreman in an inviting indoor/outdoor venue with a decidedly California vibe. Inspired by cuisines from around the world, menus feature fresh local ingredients amidst an ambiance of warmth and whimsy. Sapphire Pantry is fully stocked with gourmet sundries, further reflecting chef/owner Azmin Ghahreman’s interest in fine wines, artisan cheeses and exotic ingredients from around the globe. Freshly made food for take-home meals, parties or picnics are also available. Extraordinary handmade confections created by the shop's owner using only the finest ingredients. Luscious truffles, buttery carmels, and chocolate in every possible combination. Select from pre-packed boxes or create your own. Also unusual gift items. A full service bookstore offering a complete range of titles, subjects and periodicals. Personal and friendly attention by a knowledgeable staff who will be delighted to help you find that next great book. Also features an extensive children's section. Voted one of the best salons in Orange County by Harper’s Bazaar. We are committed to enriching the lives of our clients through impeccable service and by creating fabulous hair. Pottery Place Parking Garage. Affordable and adorable footwear and handbags to fit your lifestyle, with an emphasis on fun and fashion-right. Women of all ages will sure to find the perfect fit. Also offering refreshing pedicures. The hot spot to shop for the woman who loves fashion. Bohemian elegance with a sophisticated girlish charm. 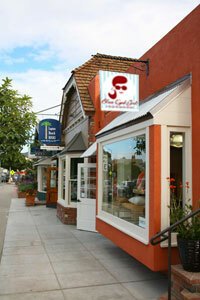 Blue Eyed Girl has everything she needs from ultra-soft tees, premium denim, dresses, tops, tunics, accessories and more. Jack Thomas at Home is a unique, clever home-style store carrying linens, bedding, furnishings, vintage and new accessories. There is nothing like it in Southern California. Pottery Place Parking. 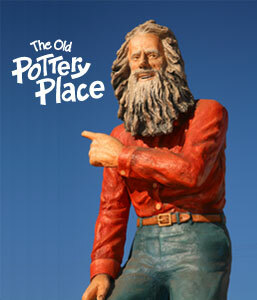 ©2007 The Old Pottery Place. All Rights Reserved.